KIDSPLAY SUMMER CAMP STILL HAS SOME OPENINGS! Summer Camp registration - Call today: O'Fallon MO: 636-379-9494 or Manchester, MO 636-227-1800. First Friday of every month! 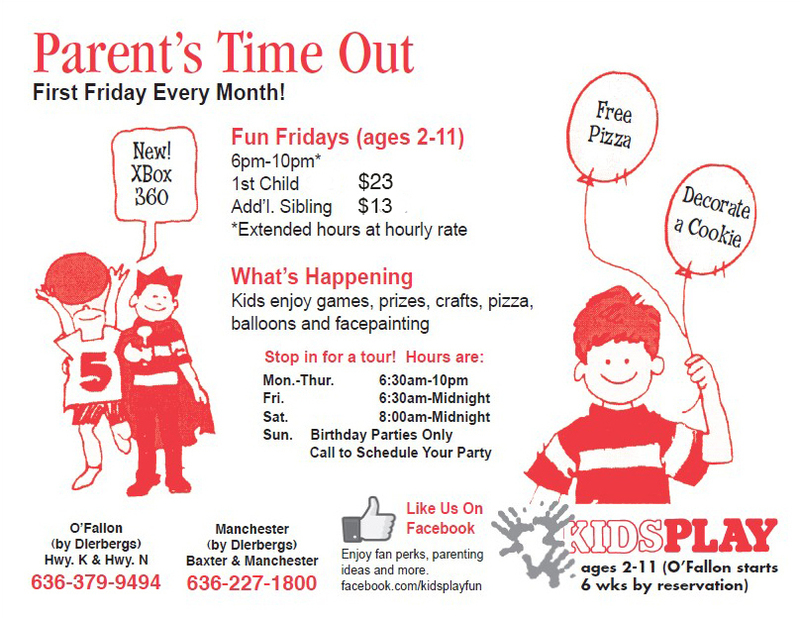 We'll entertain your kids with pizza, games, crafts and prizes, while you enjoy a night out of your very own. The cost is just $22 for the first child and $12 for each additional sibling. See the Hourly Childcare program or call/visit one of our centers for more information. Prepay is not transferable or refundable.